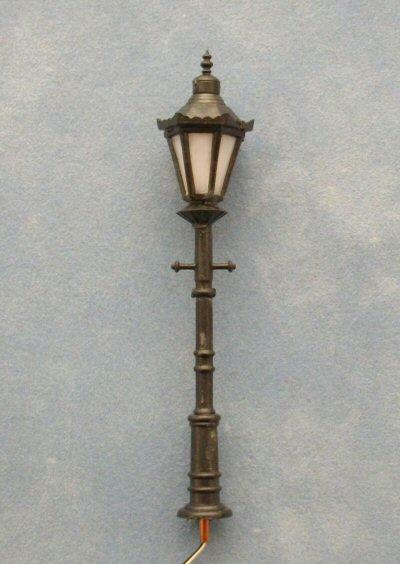 Victorian lamp post for your miniature 1/48th scale scene. 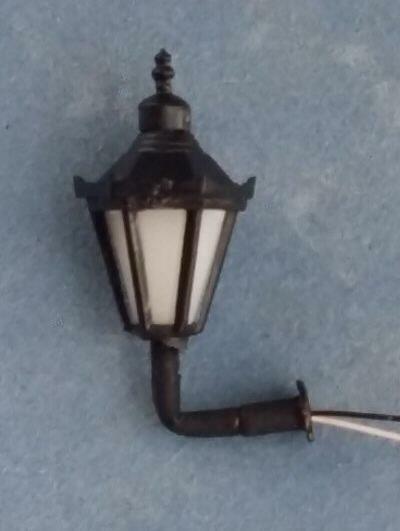 Complete with wires and LED. Works on 3v. 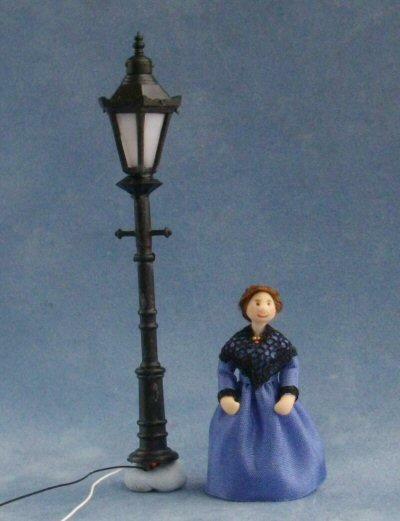 Second picture also shows one of my 1/48th scale dolls stood next to a 75mm tall lamp. Dolls are available separately.